Get the most out of your holiday property & let us take the hassle away. Browse and choose from our selection of new cottages in the Lake District! Bring your four-legged friends and the Lake District together. "Dale End Farm is an ideal holiday property for family or friend get togethers. It has good access to walks from the door - the stroll across the field and along Grasmere is beautiful. We will definitely return!" "We have stayed at Jontys before and love it for its location and views. We love the quiet, the gorgeous views from the cottage, the nearness to lovely walks and the pub with good food." "We just loved the cottage is is so beautifully appointed and decorated, such a comfortable place to spend time in a beautiful area. We loved Bowness and Ambleside too!" "Wonderful cottage in a perfect location for Ambleside and very well-equipped. We have used this cottage for 2 years running and would recommend it for a lovely, relaxing break for a couple in the Lake District." "An ideal place to stay if you want to park up and enjoy the surrounding area without having to drive. The owners have thought of everything to make your stay enjoyable. It was perfect and we would certainly return to this apartment!" Welcome to the Good Life Lake District Cottages website. Since 2008 we have been providing quality self-catering accommodation in the Lake District National Park. Good Life Lake District Cottages is a family owned business in the heart of the Lake District National Park. We offer holiday makers a beautiful selection of Lake District holiday cottages, all of which are unique and our team would be happy to talk you through the variety of features. We love letting holiday cottages and pride ourselves on offering a friendly, helpful and professional service for both holiday makers and holiday home owners alike. Nestled in the southern area of the Lake District, our self-catering holiday cottages are spread between Elterwater and the Langdale Valleys, Windermere, Grasmere, Ambleside, and other surrounding areas. Our two offices are located in Elterwater and Windermere, so if you are passing by please pop in to say hello, pick up a brochure or raid the dog treat jar. The variety of self-catering holiday cottages we have to offer provide an abundance of stunning scenery, perfect for walkers, families or stays with a pet. Whether you’re looking for a romantic break for 2, a cosy retreat with a log fire, lake views or a pet friendly Lake District cottage, we have a place that’s just right for you. Many of our properties accept short breaks in low season or on a last minute basis. We also have large Lake District holiday cottages that are ideal if you are looking to plan your next family get-together. Many of our self-catering cottages offer last minute discounted holidays, so if you’re feeling spontaneous or just need a break you can enjoy one of our quality Lake District Cottages at a discounted rate. All our self-catering holiday cottages are fitted with wifi and a variety of other facilities, including parking, gardens, open fires and games rooms without losing any of their traditional charm. The majority of our properties welcome pets, so you can bring the whole family when you stay with Good Life Lake District Cottages. If you would like to find out more about our Lake District holiday cottages browse through our holiday cottages online, or please do get in touch. 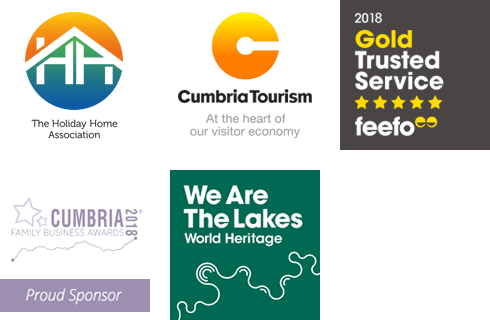 Our truly local team have a wealth of knowledge about all our properties, locations and the Lake District and enjoy helping guests choose a holiday cottage in the Lake District. A museum of boats, steam and stories... This spectacular new museum is far more than a jetty! SPRING PROMOTION AT GOOD LIFE LAKE DISTRICT COTTAGES We are giving away 30 Golakes cards for FREE this Spring!